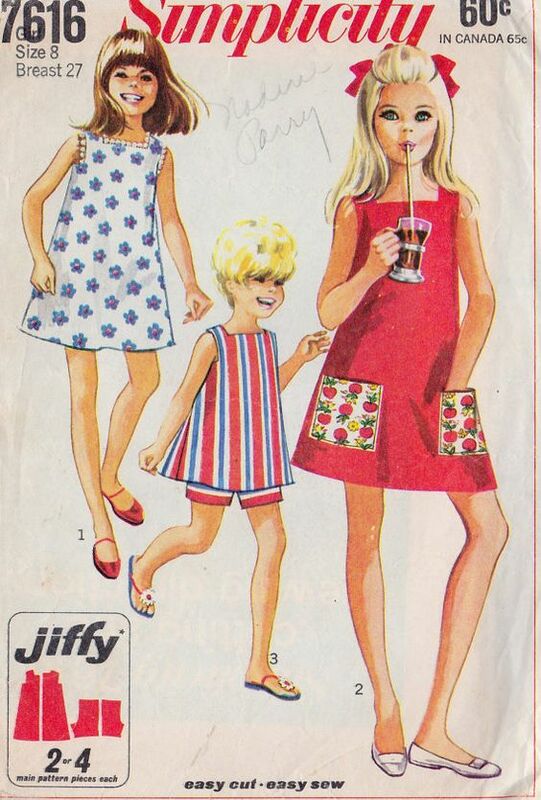 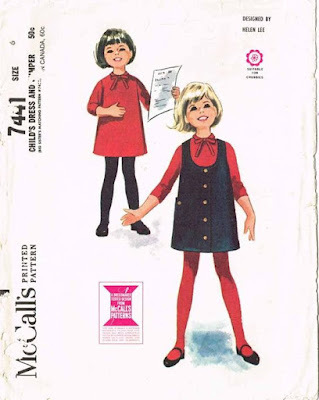 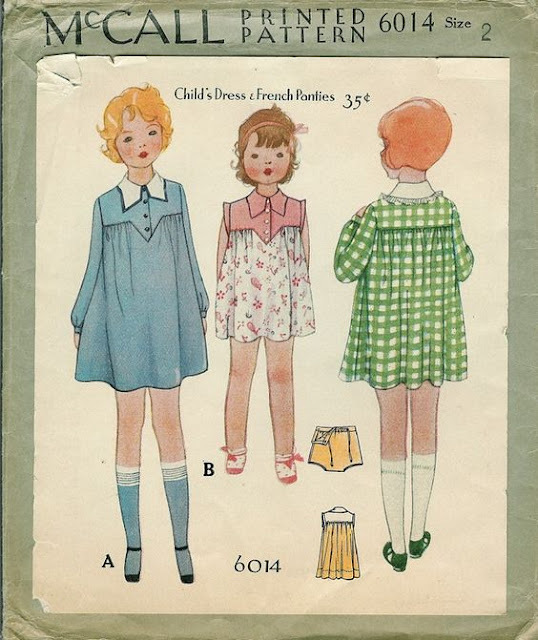 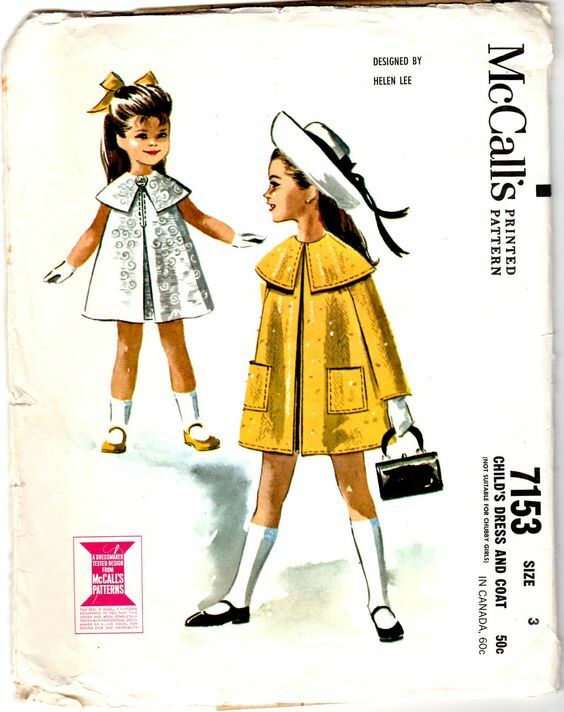 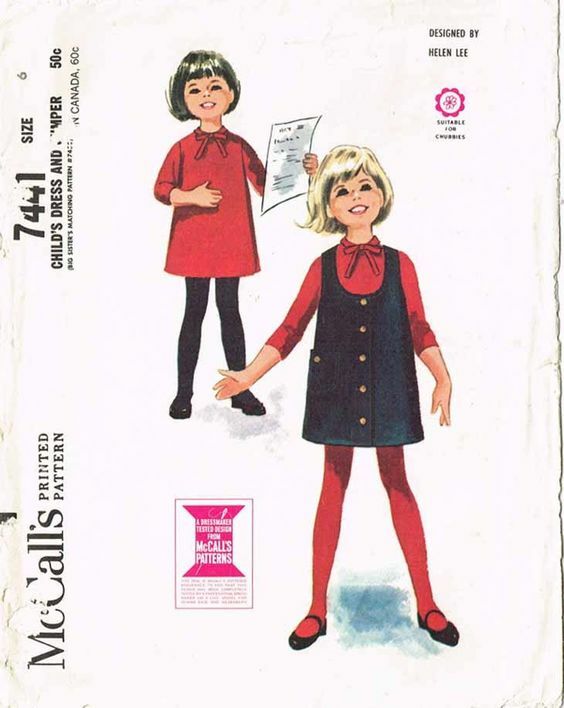 I adore the clothes illustrations on vintage children's patterns. They are pieces of fashion history and represent some of the key fashions of different decades. Like the pages of fashion magazines or ad campaigns for brands, they do put forward an idyllic view of different decades. 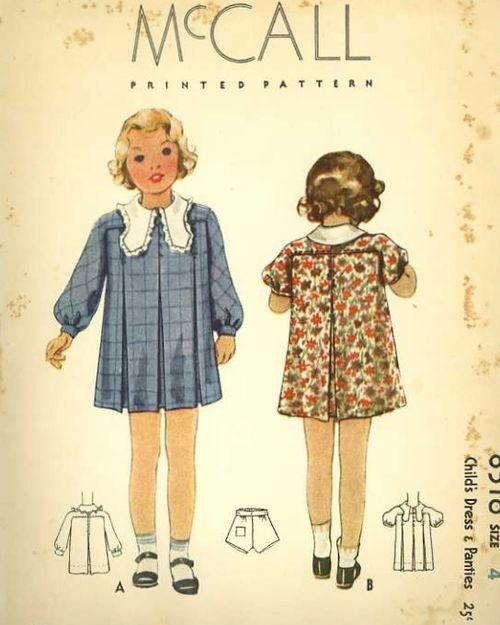 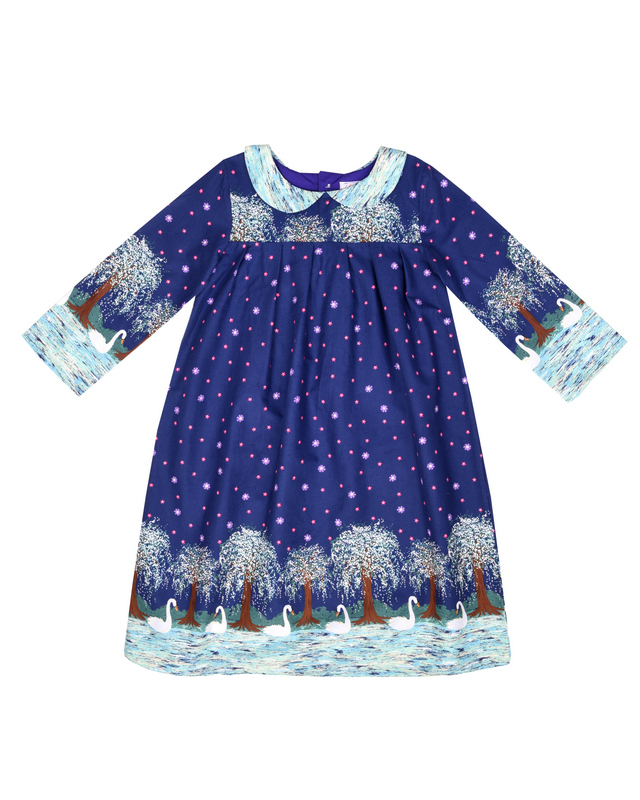 In decades where mass produced ready to wear clothes were not available, these were the clothes that patterns that home sewers or local seamstresses would use to take inspiration from to make clothes for children. 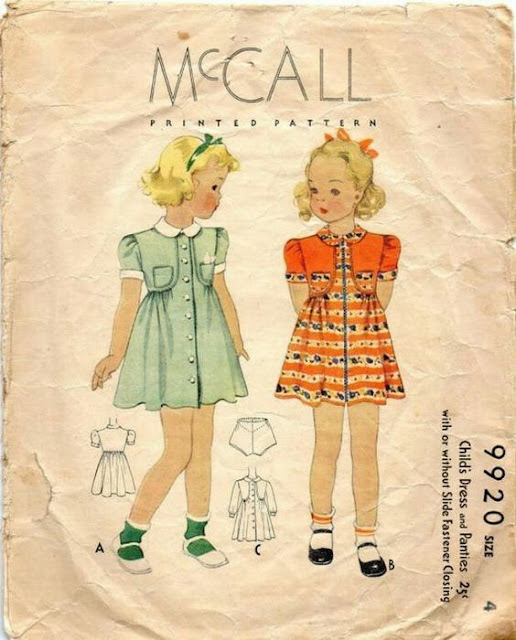 1930s , serious children! 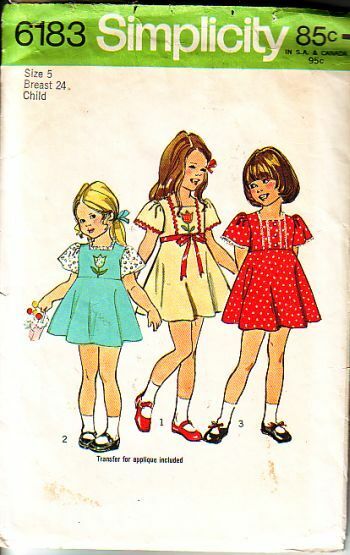 Beautiful neckline details with short dresses. 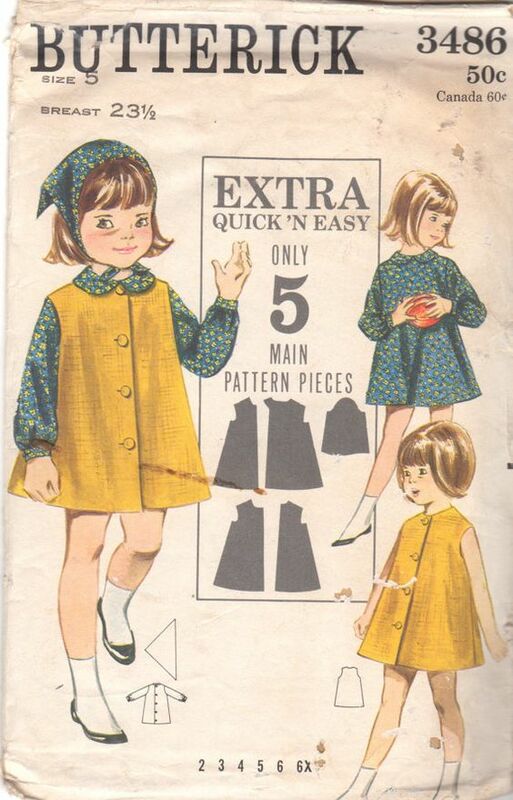 Very classic colours, exaggerated aline shapes. 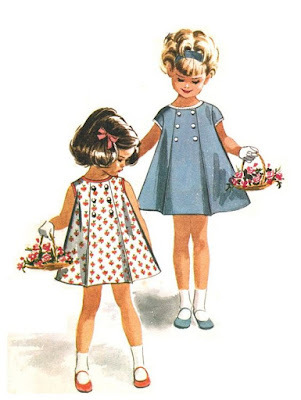 The illustrations in this post range from the 1920s up to the 1970s. 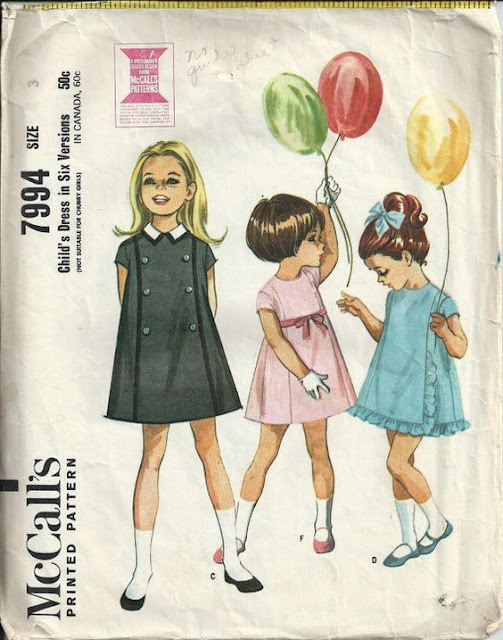 Obviously there is very little diversity in the models portrayed! 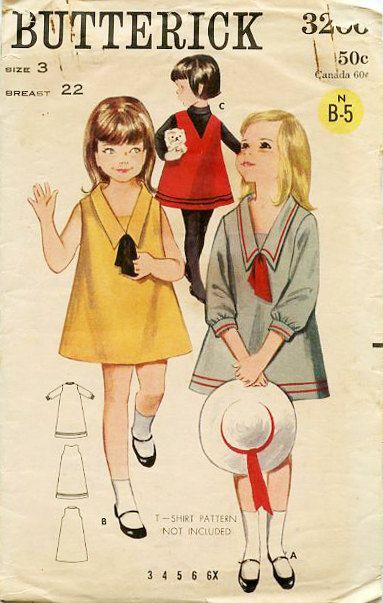 The 1920s and 1930s are very serious looking children. The 1950s the children are allowed to smile, no doubt a representation of what was going on socially and also the mindset of post world depression and world wars advertising.